Organised By: Firetrail Events Ltd. 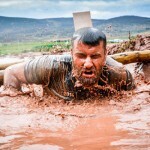 Beast yourself on a leg-numbing 10k along the banks of Loch Ness, through dense forest, undergrowth, heather and bog, on rough dirt tracks and of course into Loch Ness itself … then add the obstacles! As well as having a brilliant time taming the Beast, you can choose to support our charity partner, Chest Heart and Stroke Scotland, a vital charity that improves the quality of life for people in Scotland affected by chest, heart and stroke illness. 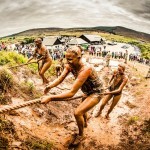 Free pledge places are available – please see website http://www.beastrace.co.uk/charity.html. Race consists of 5 waves, 1st wave at 10.30am. Please see website for details.